So I was a bit late to the game earlier this week when I blogged about the Vanilla Bean and Juniper Berry as being Dry Soda‘s newest flavors. Today I got the chance to taste Dry Soda’s real newest flavor, Cucumber. Right here, right now, I’m proclaiming that the Dry Soda Co.’s Cucumber Soda, is my 2009 Summer beverage of choice. This years contenders were Pepsi Natural and Dry Soda’s Vanilla Bean. There is something about this flavor that I really dig… it’s not too sweet or fake tasting. Just for fun, I paired the soda with a persian cucumber (which I eat as snacks) and the taste was identical (at least to my palette). So, if you are like me, someone that loves cucumbers, and eats them like candy, then you’ll love the new Cucumber Soda from Dry Soda Co. I also hear you can make some pretty good cocktails with it… can’t wait to try those out. 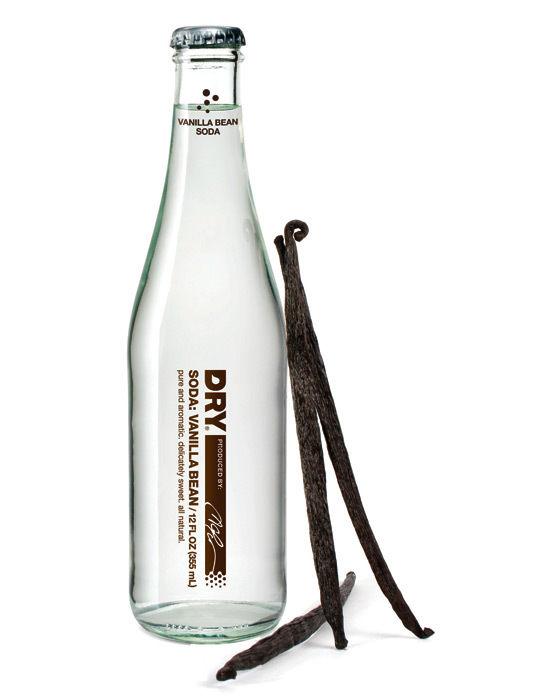 I’ve enjoyed Dry Soda Co. pretty much since their beginnings back in 2005. Recently, while I was at Whole Foods purchasing supplies for the beverage center, I noticed that Dry Soda released two new flavors, Vanilla Bean and Juniper Berry. Both are excellent, however, the Vanilla Bean flavor will really suit EVERYONE’S taste buds. Now the complete line of Dry Soda Co. flavors include KUMQUAT, LAVENDER, LEMONGRASS, RHUBARB, VANILLA BEAN and JUNIPER BERRY. If you see these in your local Starbucks (I’ve seen them carried here in Seattle stores) or super market, expand you palette and try one or all of these flavors! UPDATE: Apparently, I’ve been a little late to the party as a new Cucumber flavor has been released! Can’t wait to try that one, my wife and I love cucumber water, so this must be even better!